Canadian Music Week is proud to present the nominees for the 11th Annual Independent Music Awards, “The Indies”. 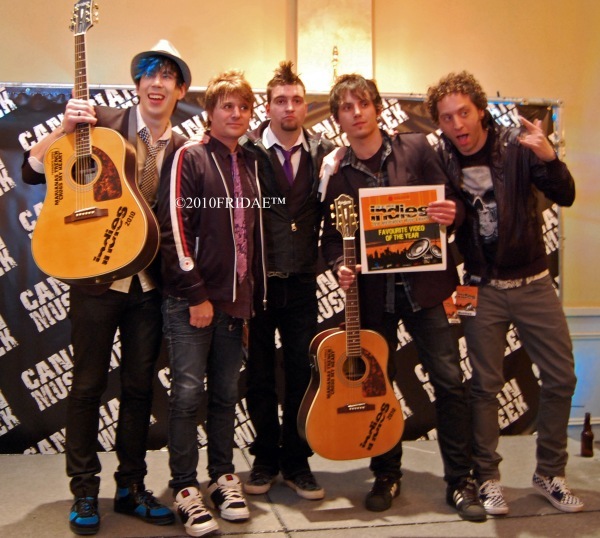 Presented in association with Astral Radio and XM Satellite Radio, the awards will be handed out on Saturday, March 12, 2011 at the legendary Canadian Ballroom in the Fairmont Royal York Hotel, Toronto, as part of Canadian Music Fest. The Indies acknowledge, promote and honour achievements of Canadian and international artists in the independent music sector. Featuring performances by Janelle Monae, Shad, Hollerado, Bombay Bicycle Club, Hannah Georgas, and Desperate Union, The Indies will be broadcast live to air on XM Satellite Radio’s “The Verge”. The Arcade Fire, Danny Fernandes, JRDN and Marianas Trench lead this year’s Canadian nominees with three nominations apiece, followed by The Black Keys with three nominations in the international categories. An initiative of the Canadian Association for the Advancement of Music & the Arts (CAAMA), the awards are limited to independent artists and cover 15 genres of music. Both a public and an industry vote decide the winners. Voting will be accessible through the Indie Awards website at www.indies.ca. For additional details and voting information, please visit the website. Tickets for this event can be purchased for $30.00 at Ticketmaster, www.ticketmaster.ca, www.canadianmusicfest.com, www.indies.ca, Rotate This and Soundscapes. Canadian Music Week is Canada’s leading annual entertainment event dedicated to the expression and growth of the country’s music, media and entertainment industries. Combining four information-intensive conferences; a trade exposition; a film festival; four awards shows and the nation’s largest New Music Festival – Canadian Music Fest – CMW spans a five-day period from March 9 to March 13, 2011 at the Fairmont Royal York Hotel and various downtown Toronto venues, attracting participants from across the globe. For more information, visit www.cmw.net.